director John Huston's first film and for him the stuff that careers are made of. be there, if you have seen it, come see it on our big screen. You deserve it. 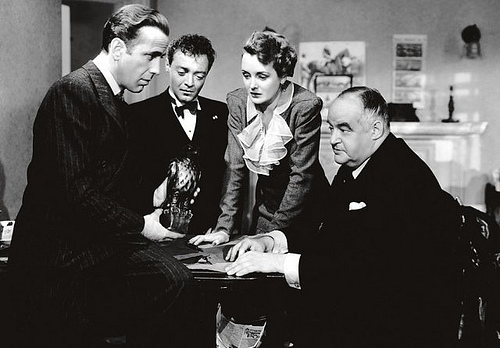 As Caspar Gutman said, "there is only one Maltese Falcon." And don't forget: Free Popcorn! Advance tickets at Highway 61 Coffeehouse: $6. I wish there were more places like this, because it was simply too amazing for words. I came to LA venues here with my boyfriend the other night, and it was absolutely fabulous. The use of wood throughout the place adds a very warm and inviting feel to venue. You may even download movies at no cost and enjoy watching these afterwards. You are sure to find a movie on allucorg you would like to observe.